The best cannabis strains for PTSD will drastically decrease anxiety while leaving patients feeling more level headed, happy and relaxed. 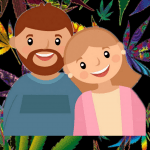 In fact many patients who have PTSD feel that medical marijuana has helped them much more than many of the pharmaceuticals being prescribed by mental health professionals. An estimated 8% of Americans have PTSD that amounts to approximately 24.4 million people which is the entire population of Texas. Making PTSD one of the most prevalent mental health problems we face as a society. Approximately 1 out of 8 women get PTSD meaning many suffers are men. Sadly many of these patients are to embarrassed or ashamed to get help causing them to needlessly suffer. Moreover PTSD can happen to anyone that has gone through severe trauma whether it be combat, abuse or accident related. Life with PTSD is difficult to say the least as even after the trauma has ended the symptoms have not. Whether it be the general feeling of impending doom, being hyper vigilant, mood swings and or even sleep disturbances. PTSD causes quality of life issues when left untreated. Consider, when a person is constantly under stress their body stays in flight or fight mode which causes problems with work, family and life in general. Luckily marijuana is a game changer when it comes to PTSD and many are finding tremendous relief. 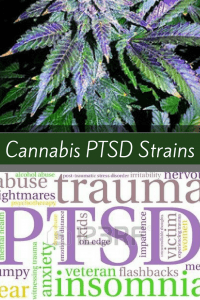 With this in mind below you will find some of the best cannabis strains for PTSD. Presently there are very few options when it comes to treating PTSD. Doctors often try medicines designed for other mental disorders in the hopes something will alleviate symptoms. However these medicnes have side effects that can really dimmish a patients quality of life as often times patients have to take more medicine just to manage side effects from medicine. 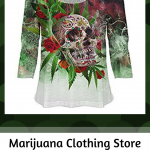 This was not as nature intended and why there are amazing alternatives such as medical marijuana. Research has determined that people with post traumatic stress disorder have a lower level of anandamide an endogenous cannabinoid compound. THC activates these receptors therefore providing relief. 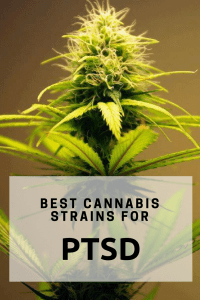 Obviously that is the brief version as if you are reading this you are more likely focused on relief instead of research, therefore continue reading below to learn about the best marijuana strains for PTSD. 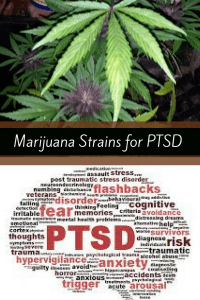 While there are many marijuana strains that may help relieve PTSD all strains are not created equally. 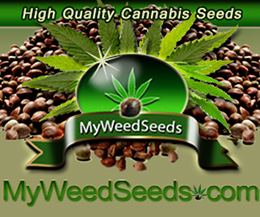 While most strains may help there are some which may not be as beneficial. For example if you have severe PTSD it may be smart to avoid cannabis strains known for causing paranoia. Obviously everybody has different body chemistry and tolerance levels. If you are looking for one of the most well known and best cannabis strains for PTSD then look no further. As this moderate indca is just what the budtender ordered. Great for edgy nerves, muscle tightness and insomnia this strain excels at providing quick long lasting relief of mild to moderate PTSD symptoms. 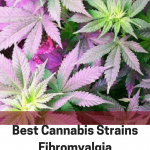 In fact we recently blogged about Northern Lights being one of the best cannabis strains for fibromyalgia as it help chronic and severe muscle spasms. Amnesia Haze a potent sativa that can give patients almost instant relief of severe anxiety and therefore proven to be one of the best marijuana strains for PTSD. 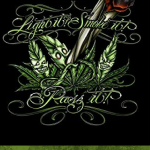 Furthermore this strain is a powerhouse for pain, depression, fatigue and pain. When it comes to high CBD / low THC strains this is a gem especially for treating PTSD. As this will effectively treat PTSD without an intense psychoactive high. 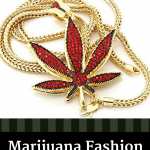 In addition this strain is also featured as one of the best cannabis strains for headaches. Overall this strain is a good medicinal cannabis strain to have on hand when you need more medicine and less buzz. Earthy yet sweet Durban Poison is a Sativa that delights both medical and recreational smokers. Indeed this strain is a godsend when it comes to providing powerful relief for both anxiety and depression, fatigue and nausea. PTSD patients report this strain to be exceptionally therapeutic for even intense PTSD symptoms. Also noteworthy this strain is great for making you feel euphoric and creative which has many benefits. A great day time strain that will help you focus and relax. When it is time to get things done this sativa hybrid will help with PTSD while giving you energy. Patients will love the mango pineapple taste that has made this strain one of the best tasting. Overall when needing to be productive and at work this is one of the best marijuana strains for PTSD. PTSD is a serous medical condition that if left untreated ruins lives and destroys families. Sadly society makes it hard for people to feel good about seeking treatment. Luckily the marijuana community is very accepting and understanding of the struggles that come with this often debilitating condition. Hopefully these strains will help with finding relief from PTSD. Finally if you are in a state that allows for the legal cultivation of cannabis you may consider the following cannabis strains with tremendous medical benefits.